Revitalize your smile and regain confidence with the services of Accufit Denture Centre. If you have lost teeth naturally over time or due to an accident, our team can provide excellent alternatives to bring back the functionality of your bite and the look of your teeth. Get the healthy smile you deserve with our line of top-quality dentures in Saskatoon. With our custom complete dentures, we have solutions tailored to your needs. 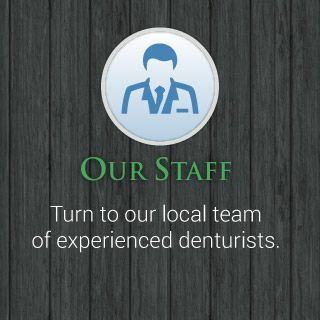 Our denturists will talk to you about full and partial denture options and help determine the most effective option for your dentures. Saskatoon area denture wearers appreciate the extra time and effort we put into finding the fit that works for you! If you are interested in learning more about our denture solutions, or if you would like to schedule an appointment at our location in Saskatoon, please feel free to give us a call or stop by during our regular business hours. We would be glad to answer your questions and provide the services you require.